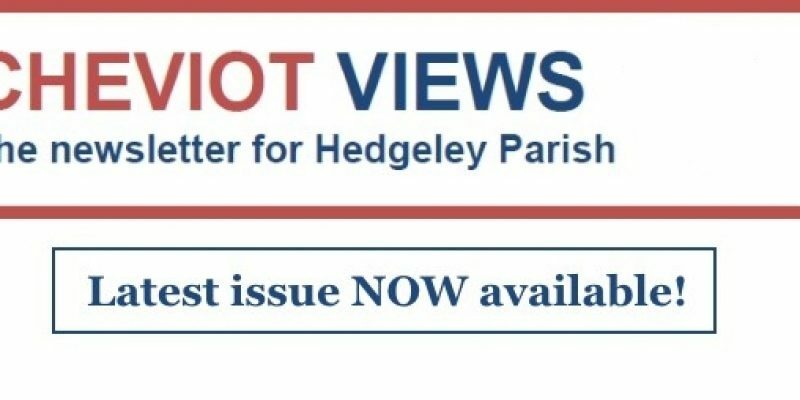 The latest issue of Cheviot Views: the newsletter for Hedgeley Parish is now available and, if you’re a resident of Hedgeley Parish, it should be dropping through your letterbox soon. Wordsmith – What’s in a name? Did you know that ‘Shawdon’ means ‘small-wood valley’? So, what are the meanings of the hamlets and villages within Hedgeley Parish? Graham Williamson explains. 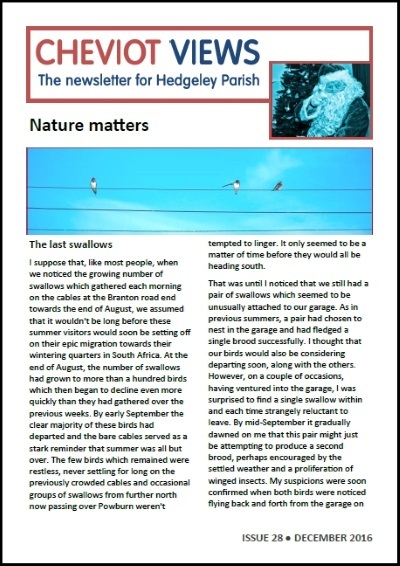 You can download Cheviot Views No.28 here.